Yesterday, b2s announced another set will be added to the very final edition of Hard Bass. Besides the extra team ‘Heroes of Hard Bass’, none other than Zany has been invited to warm up the crowd one hour earlier than usual. By now, Zany has performed at Hard Bass 13 (!) times, as Zany, Mean Machine and Donkey Rollers. 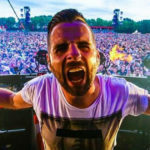 This final edition he will able to make this into a nice 15 times, since he gets to provide the classics opening set and also is a part of the Team Heroes of Hard Bass as Donkey Rollers. This also means you will be able to party one hour longer, since the Hard Bass speakers will blast through the GelreDome at 21:00 already. Besides an extra set and an extra team, we can expect way more from this final edition. 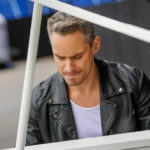 Among others, E-Force announced he would be releasing five brand new tracks for Hard Bass. 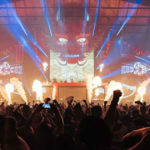 We can expect these very soon: Hard Bass 2019 – The Last Formation will take place Saturday the 9th of February at the GelreDome. Tickets aren’t available anymore, the event is 100% sold-out.